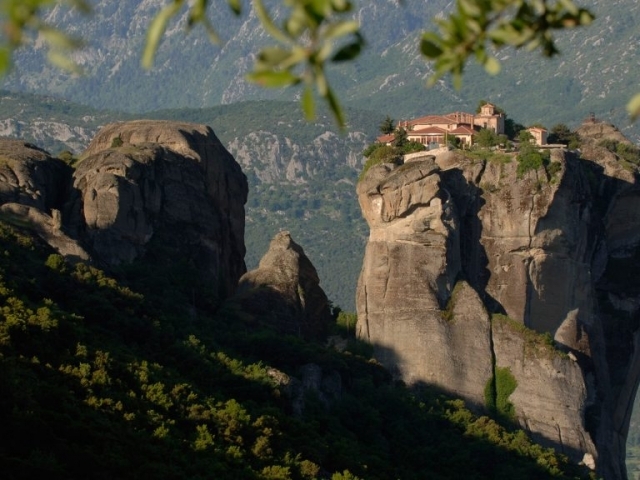 Serene, spiritual, magical, mystical, extraordinary, breathtaking, immense, inspiring, impressive. 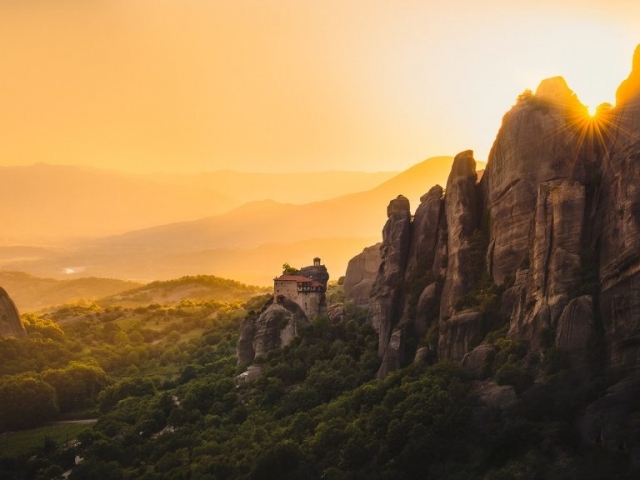 These are only some of the words people very often use in an effort to describe the Meteora phenomenon. 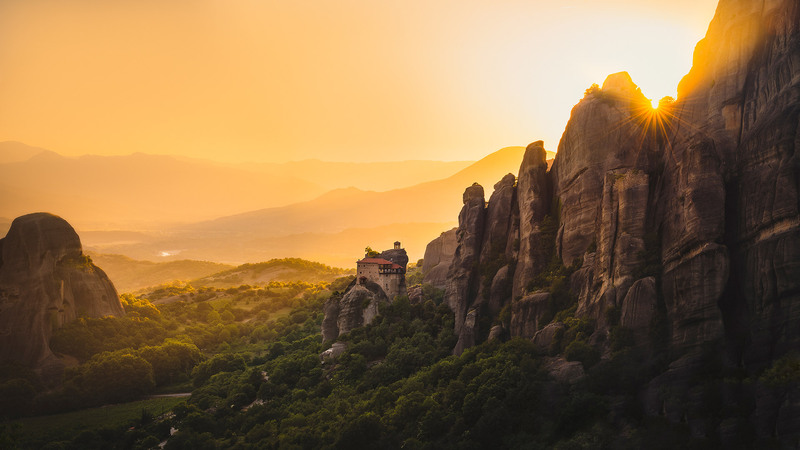 A trip to Meteora offers the unique experience of nature’s grandeur in conjunction with history, architecture and man’s everlasting desire to connect with the Divine. 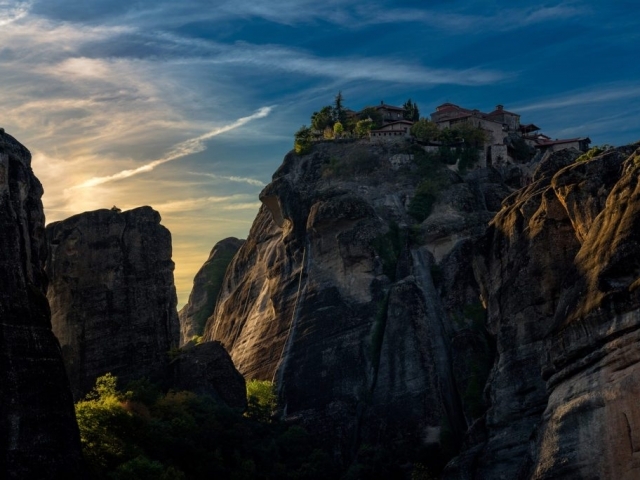 From the early Christian times, the Meteora vertical cliffs were regarded as the perfect place to achieve absolute isolation, to discover peace and harmony and, thus, to support man’s eternal struggle for spiritual elevation. 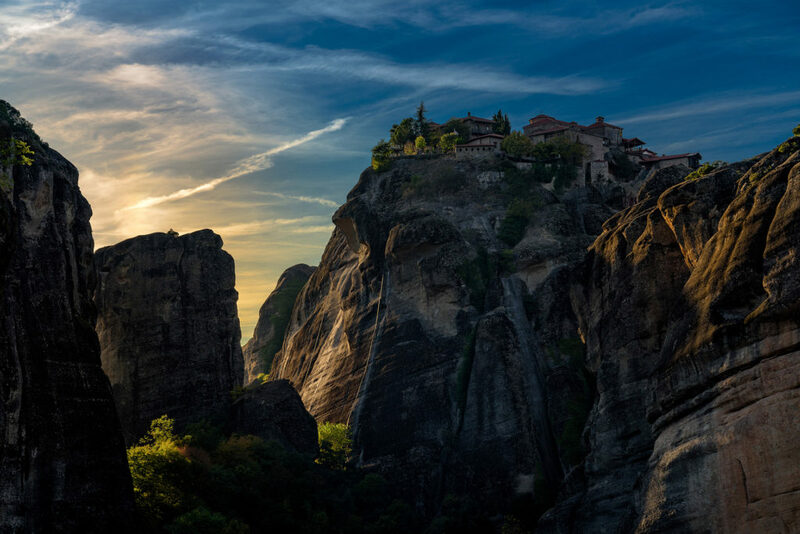 Meteora is a truly inspiring and sensational setting of overwhelming rock formations, but one must also be prepared to expect that this trip is much more than merely visiting an exquisite landscape. 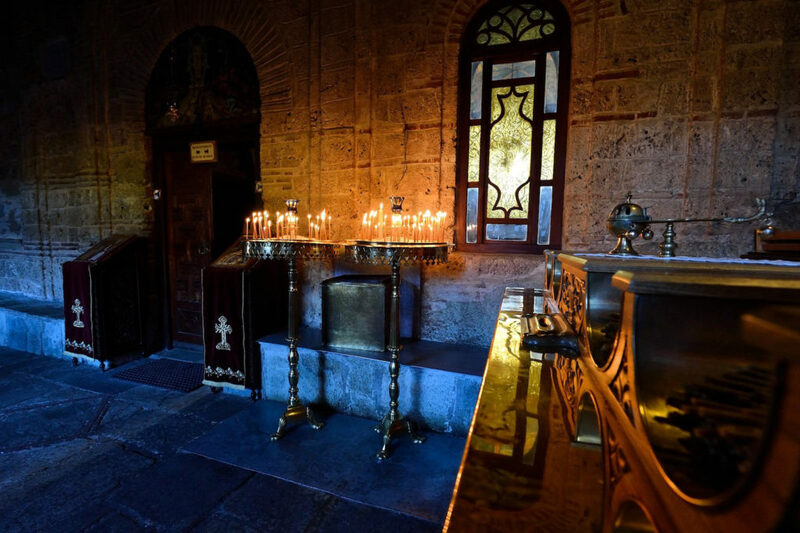 It is a pilgrimage to a holy place for all Christians around the world. 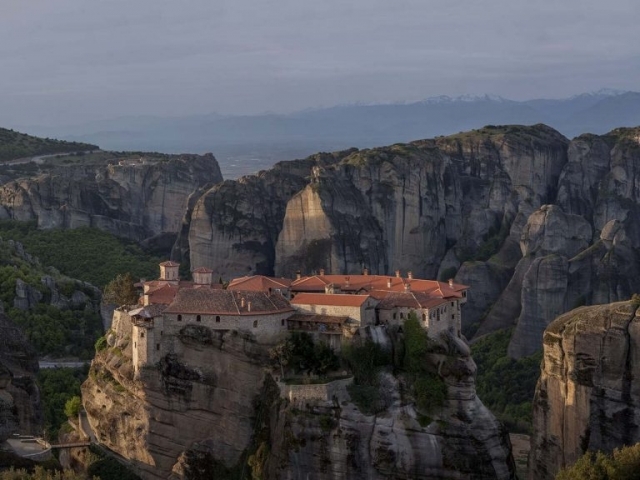 Meteora has become a preservation ark for the 2000-year-old Christian Orthodox creed. 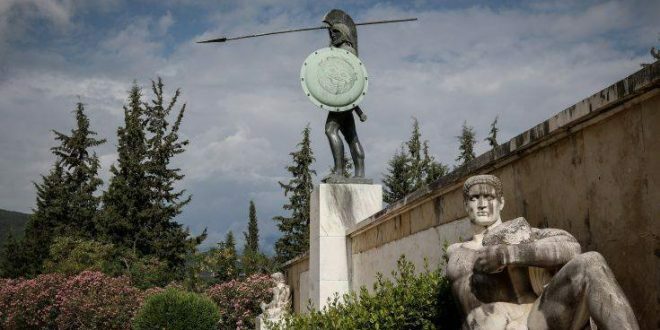 Thermopylae is world-famous for the battle that took place there between the Greek forces (notably the Spartans) and the invading Persian forces, commemorated by Simonides in the famous epitaph, "Go tell the Spartans, stranger passing by, That here obedient to their laws we lie." 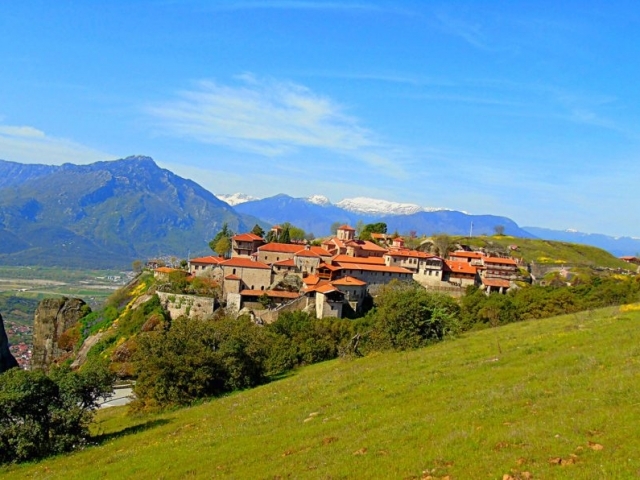 Thermopylae is the only land route large enough to bear any significant traffic between Lokris and Thessaly. 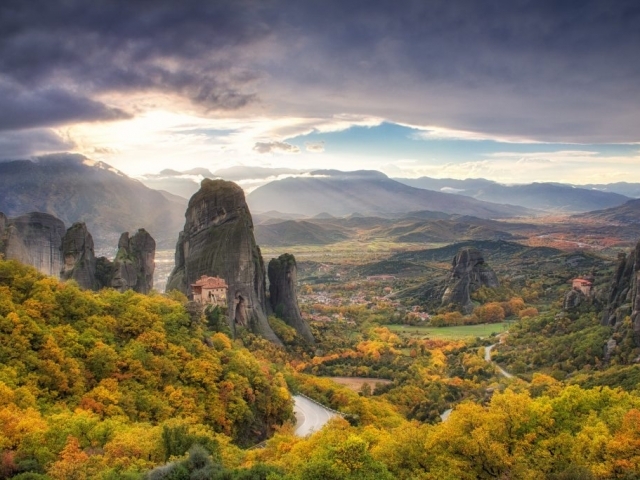 This passage from north to south along the east coast of the Balkan peninsula requires use of the pass and for this reason Thermopylae has been the site of several battles. 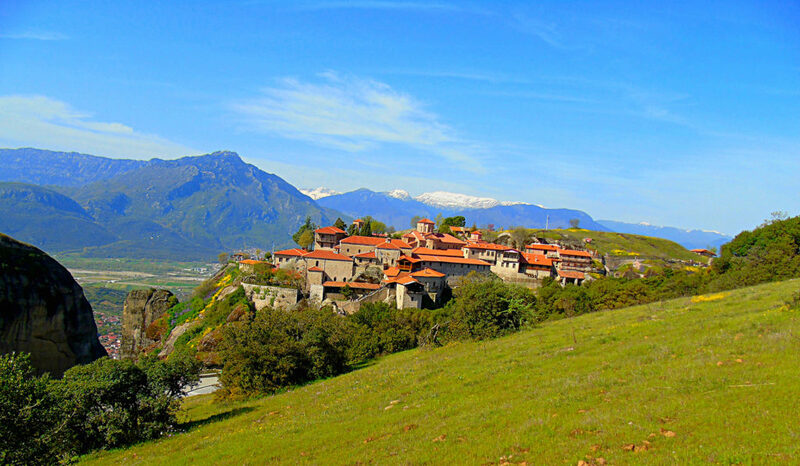 Thermopylae derives half of its name from its hot springs. 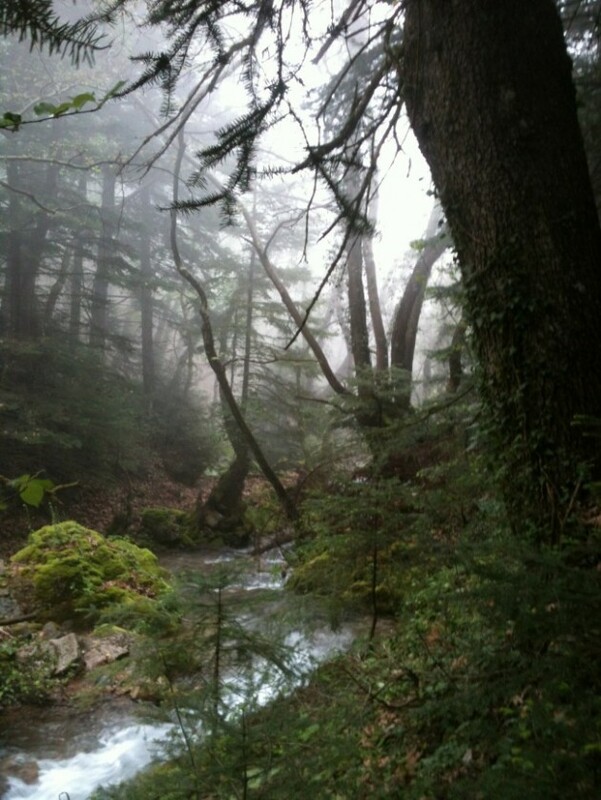 This river is formed by the steaming water which smells of sulfur. 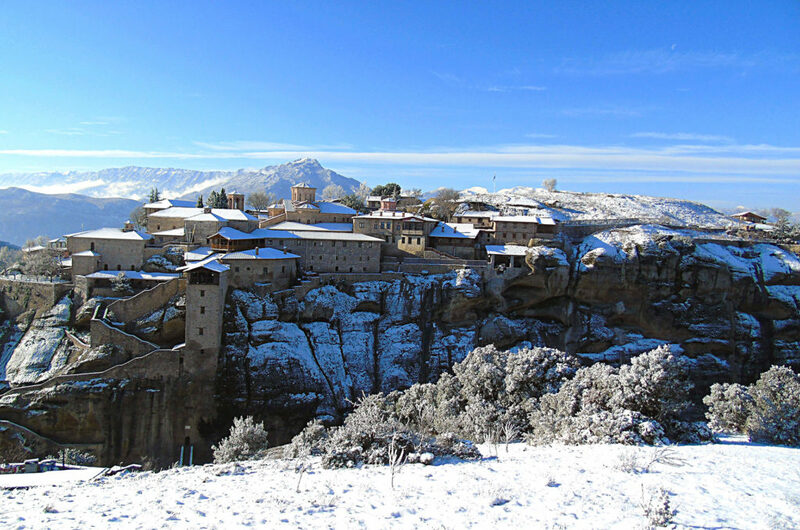 In the background, you can see buildings of the modern baths. 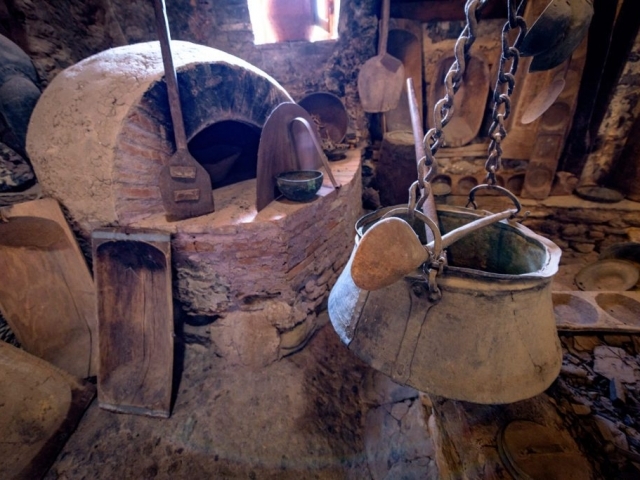 In ancient times the springs created a swamp. 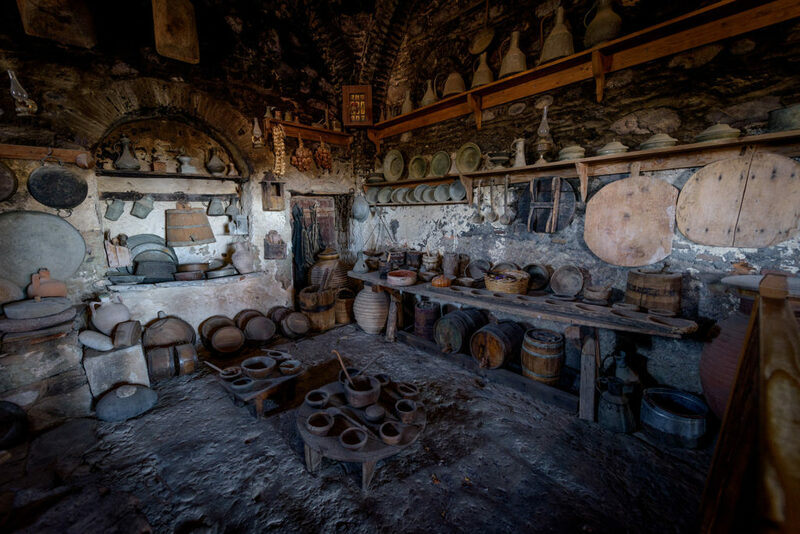 With respect, love and passion for the preservation, promotion and protection of the environment, Pavliani is part of the HabitatAgenda pilot project on the sustainable development of villages and the execution of pilot projects for their upgrading. 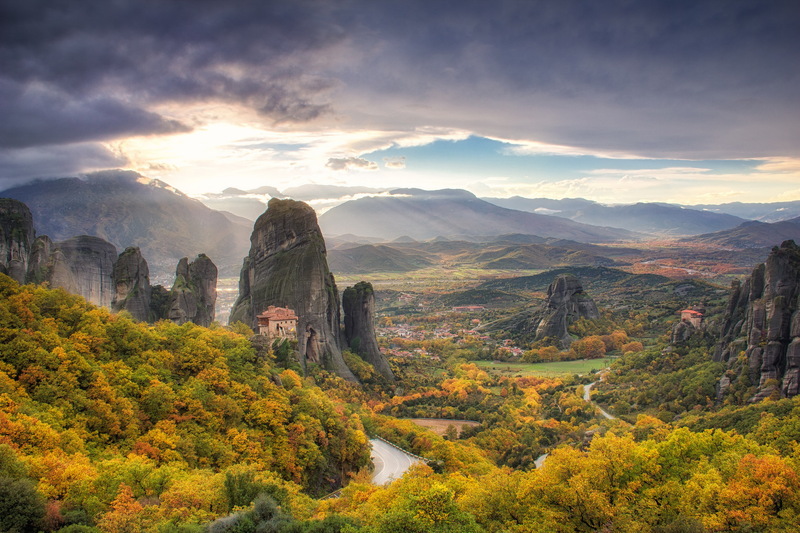 Pauliani park is a unique natural park in Greece at the Aesopos springs, the visitor is ecstatic through a magical path, reflecting the colors of the ancient trees and waters, ending in the heart of the natural park. 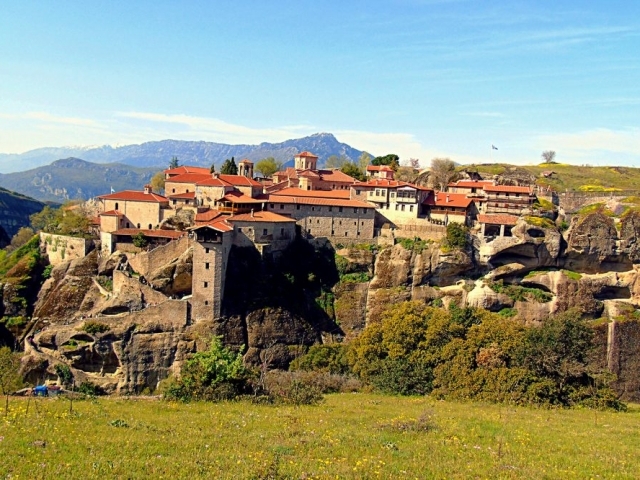 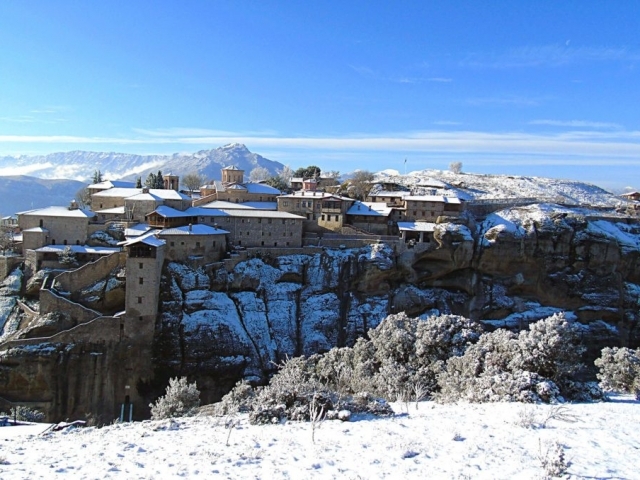 Kalambaka is a town in the Prefecture of Trikala and is the capital of the Municipality of Meteora. 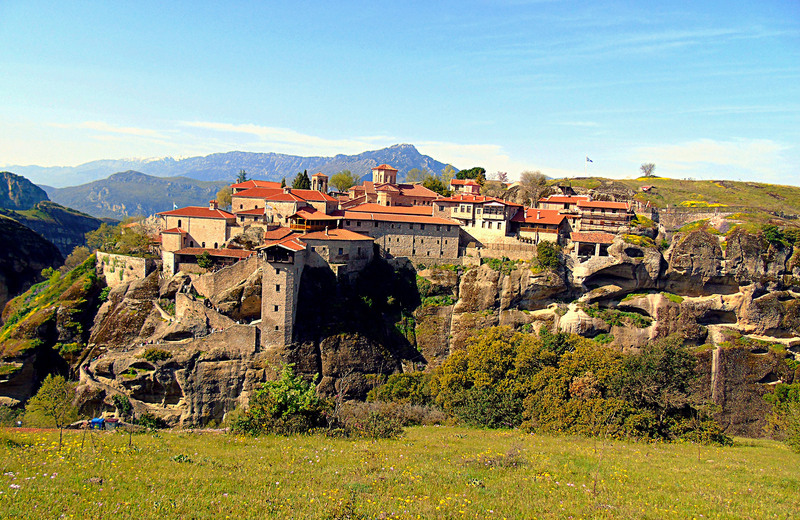 It is located in the center of Greece and extends to the northwestern part of the Thessalian plain. 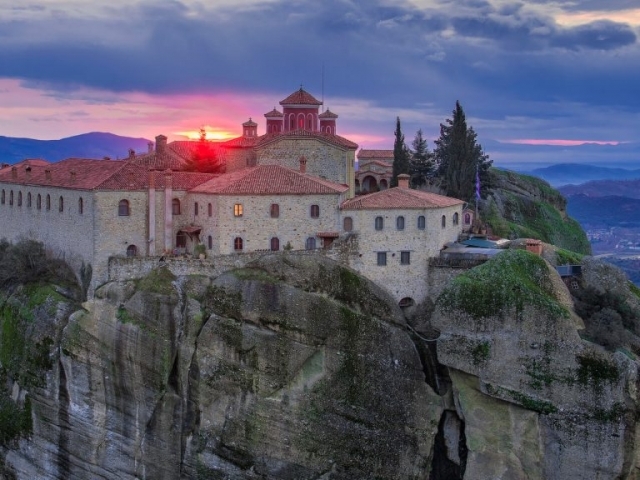 It is built next to the rare geological phenomenon of Meteora, while the river Pinios passes by it. 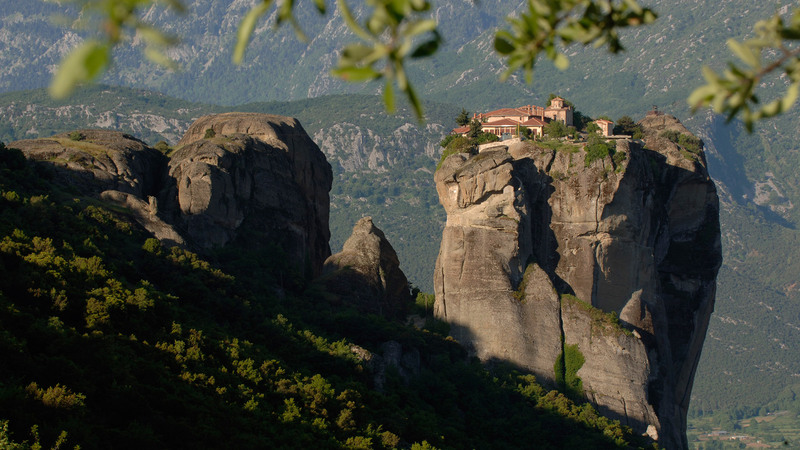 The "brutal" rocks of humble ascetics. 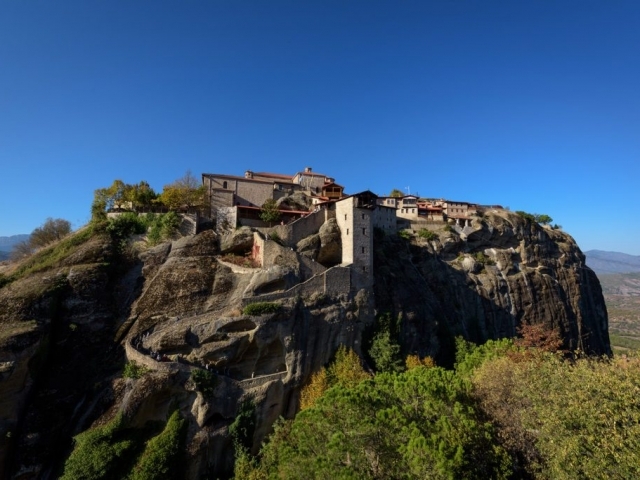 In Thessaly, the complex of imposing rocks rises above Kalambaka, between Pindos and Antichasia. 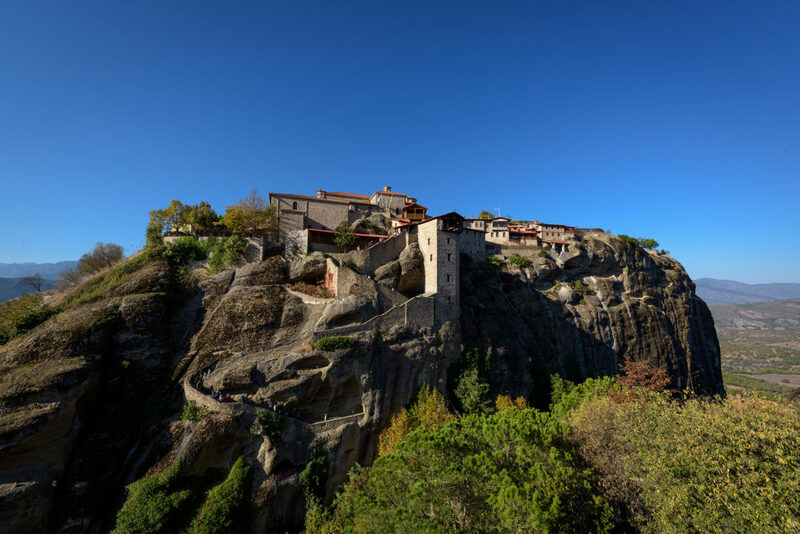 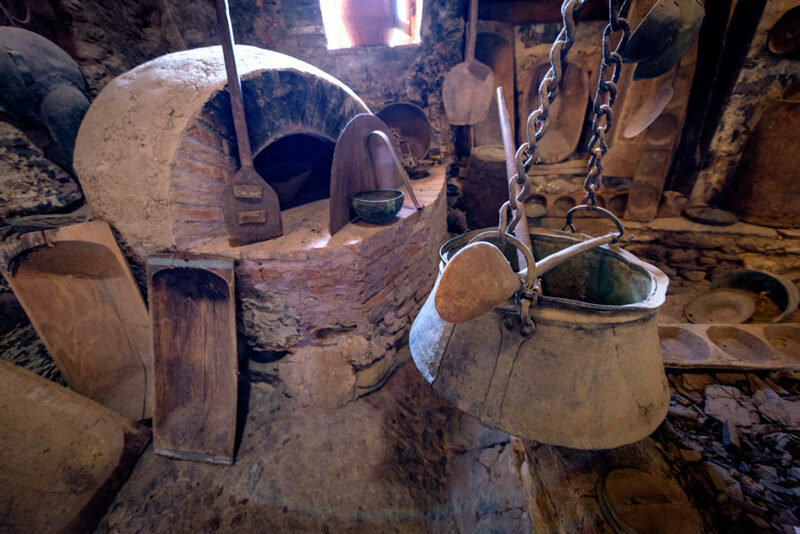 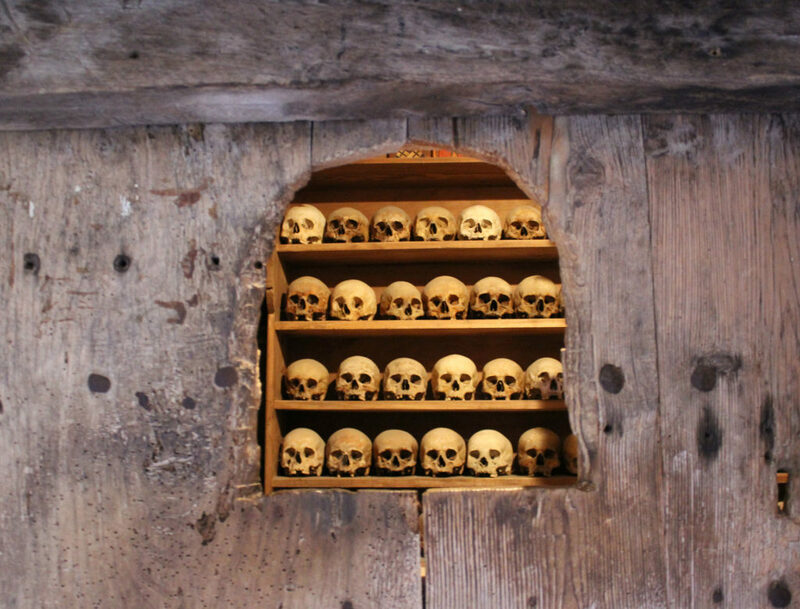 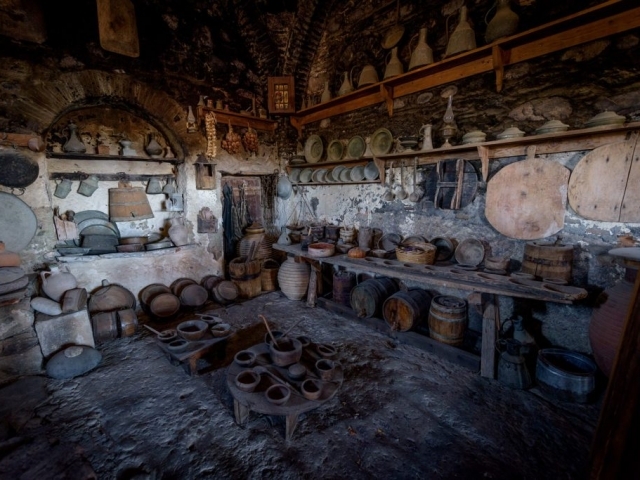 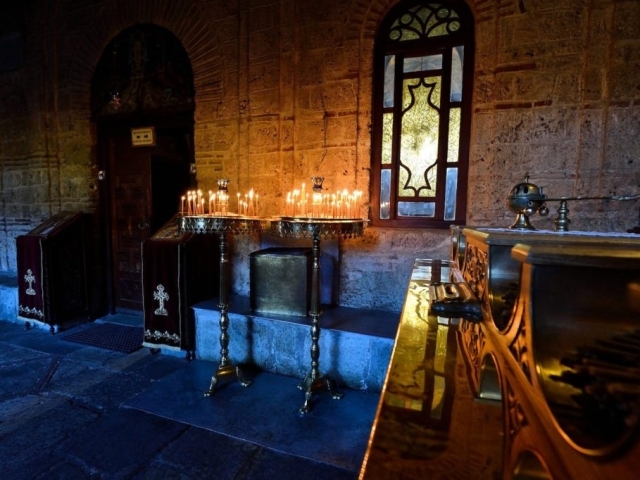 Monasticism began here in the 11th century, when monks of the ascetics left Mount Athos and came to Thessaly to practice in the caves of the vast rocks. 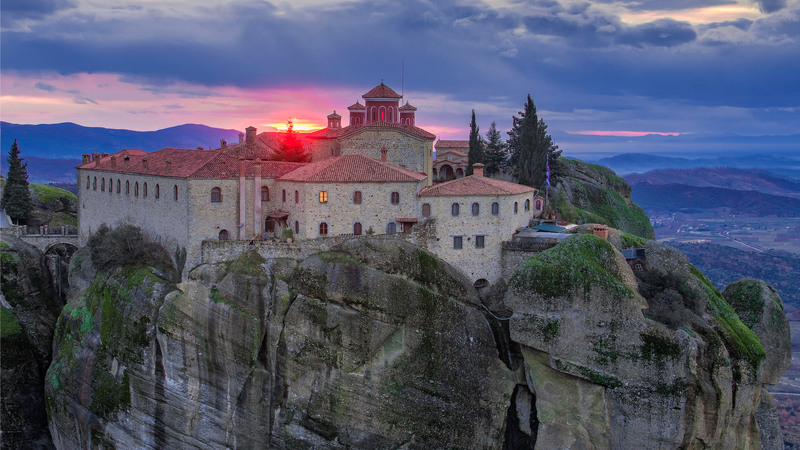 In the 14th century Saint Athanasios Meteoritis organized the first communal community, establishing the monastery of the Great Meteora. 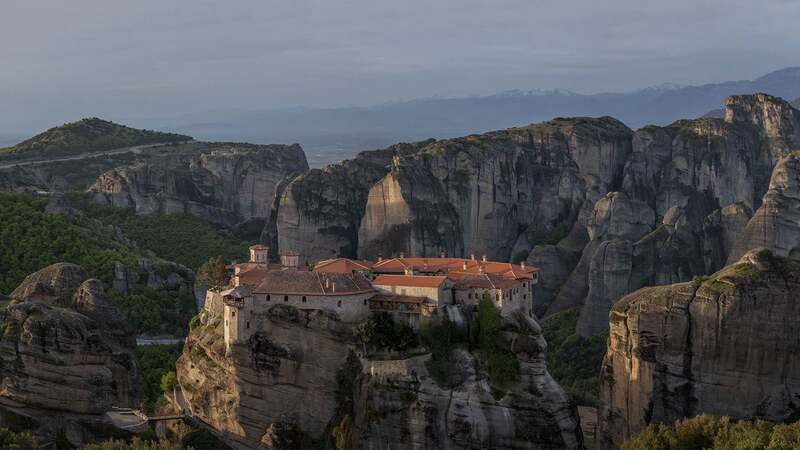 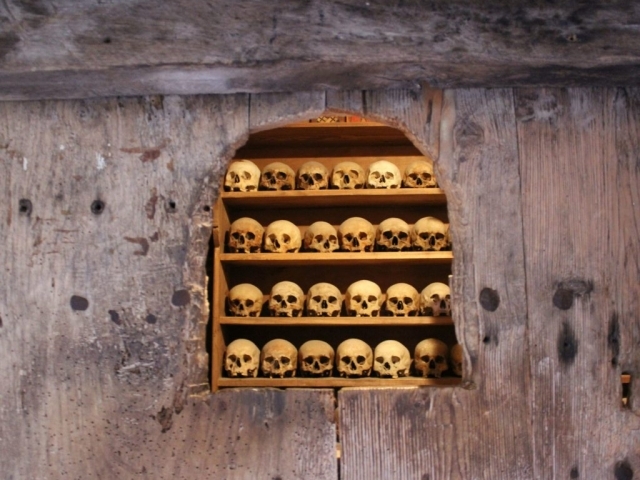 Monks followed from other regions of Greece, setting up 20 monasteries in total. 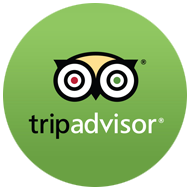 We will visit the 4 most popular of them today. 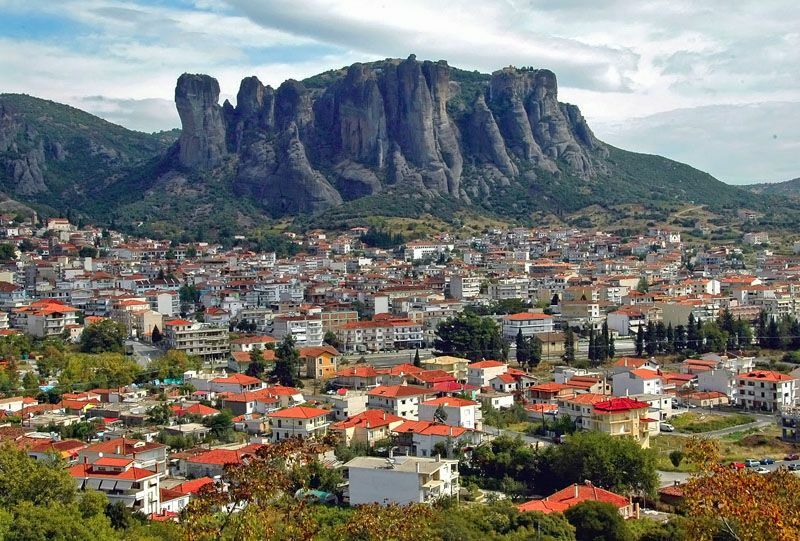 Kamena Vourla is a seaside town of the Fthiotida district. 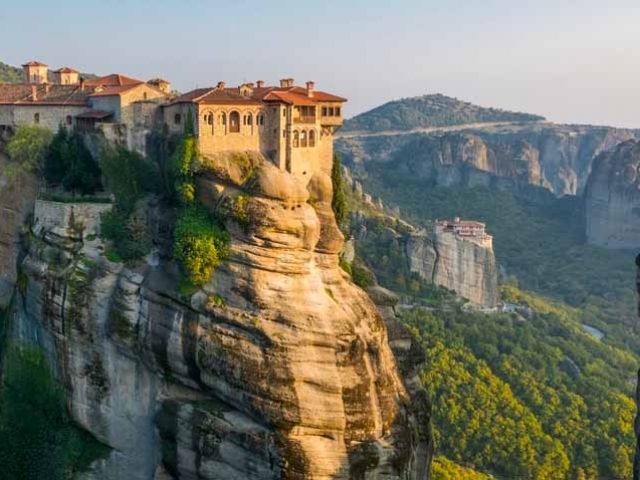 They are located on the northern coast of the North Evian Gulf, while just behind the city rises the steep slopes of Kameni mountain. 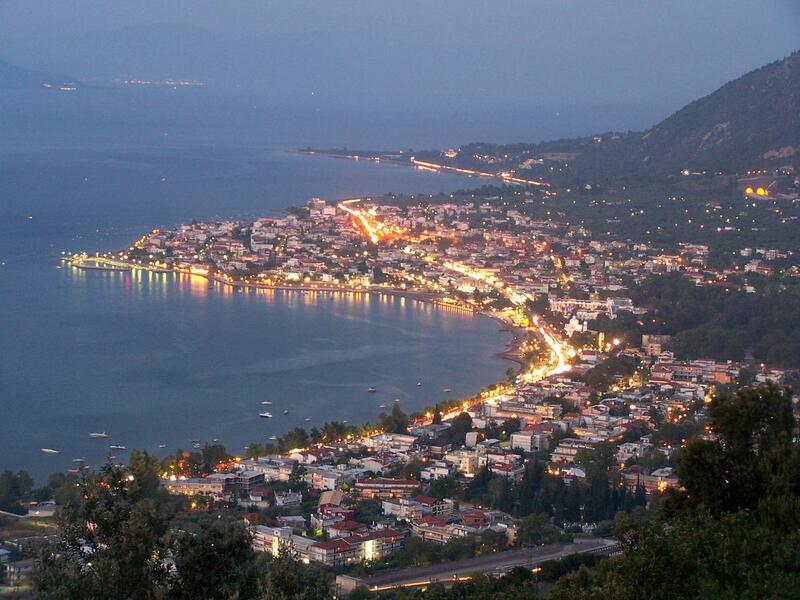 The favorable position of Kamena Vourla near Athens, 175 km away, via the Athens-Thessaloniki motorway and 40 km from Lamia, as well as the combination of sea and forested mountain, turned the area into a remarkable resort, mainly during the 1960s and 1970s. 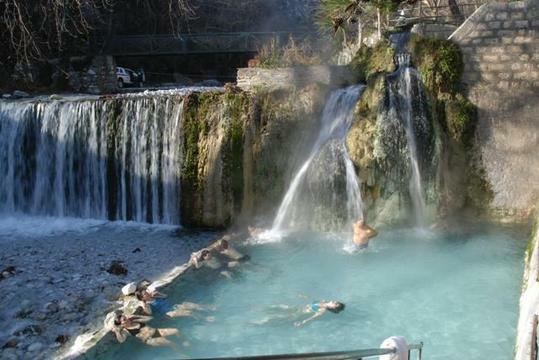 Today they are still a major tourist spa, attracting mainly visitors from nearby areas, especially for its therapeutic sources.